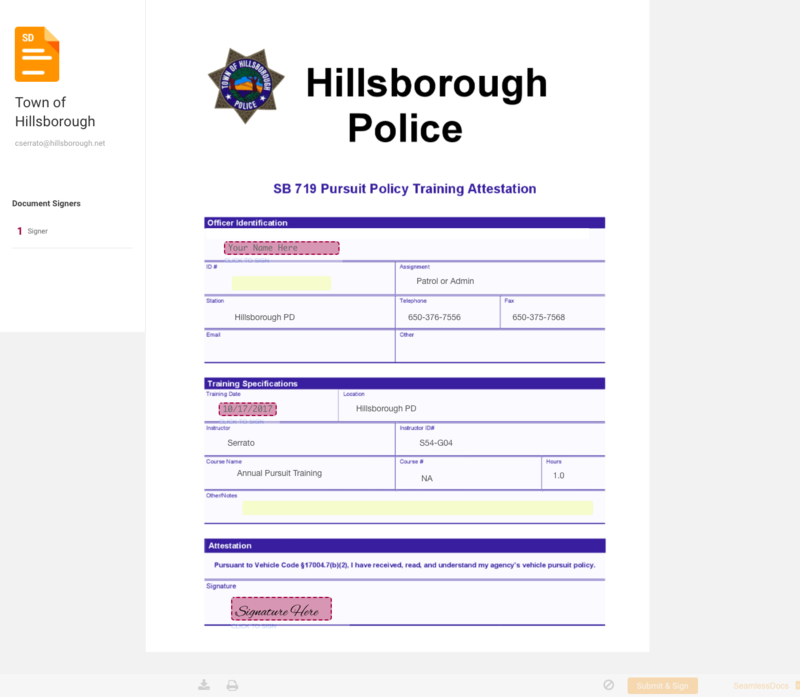 Hillsborough saved its police officers time and peace of mind by allowing them to submit this form on their mobile device! The SB 719 Pursuit Policy Training Attestation form is required annually and previously was completed by filling out by hand and then keeping a copy. 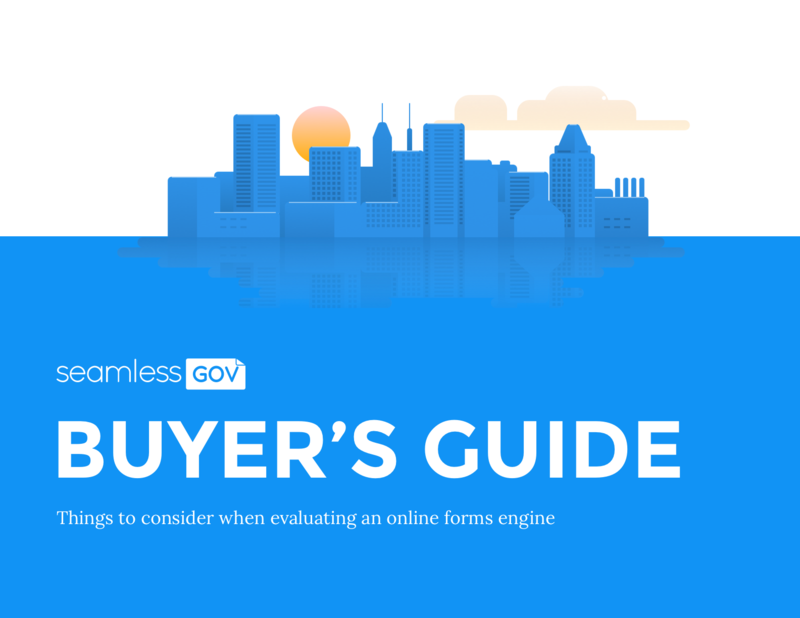 Bringing the form online with SeamlessGov has streamlined the process considerably. Officers are texted the link to the form, they fill it out on their mobile device and it's automatically routed back to administrator for retention. The new process is easy and takes officers less than a minute to complete, and us less than a minute to process it. "I'm a huge supporter of the technology. I especially love the eSignature functionality. The whole product allows local government to be more efficient, transparent and accessible."